A few months ago, when I did the Make-up Addict tag, Monika brought the blush tag to my attention. Since I'm all about blush, this would be a fun (yet tough to narrow down) tag to do (but, it's coming). While going over my blushers, and then checking the blog, I saw I hadn't posted the Benico x Hello Kitty Petit Macaron Can Cheeks. I've had these adorable tin pot blushers for years, and for some reason, I though they were limited edition. However, I still see them around...so, I guess not. 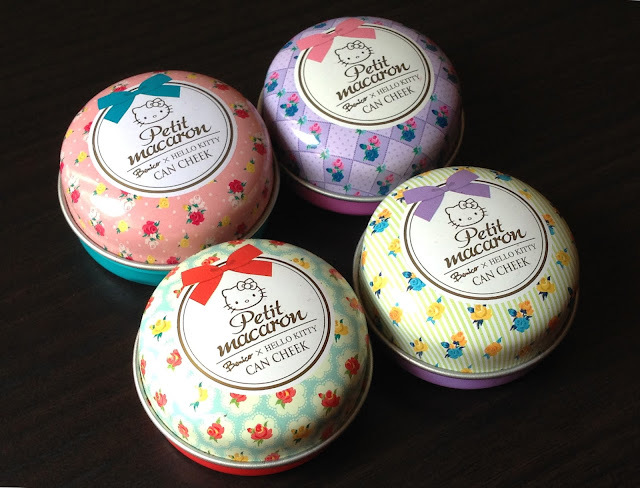 The Benico x Hello Kitty Petit Macaron Can Cheeks come in four shades: PM01, PM02, PM03, PM04. And, I love the cute floral pattern lids and their coordinated solid-color bottom. 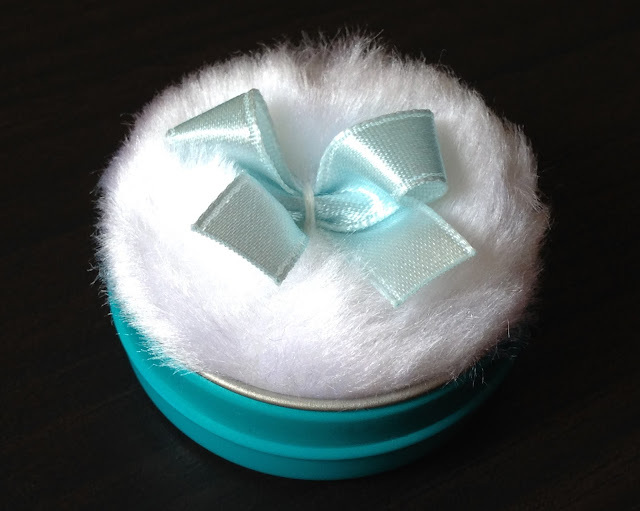 Each Can Cheek has a white puff applicator with a bow accent in the same color as the solid tin bottom. From left to right: PM01, PM02, PM03, PM04. PM02: a coral-orange with a slight golden sheen. PM04: a mamey-pink with golden shimmer. 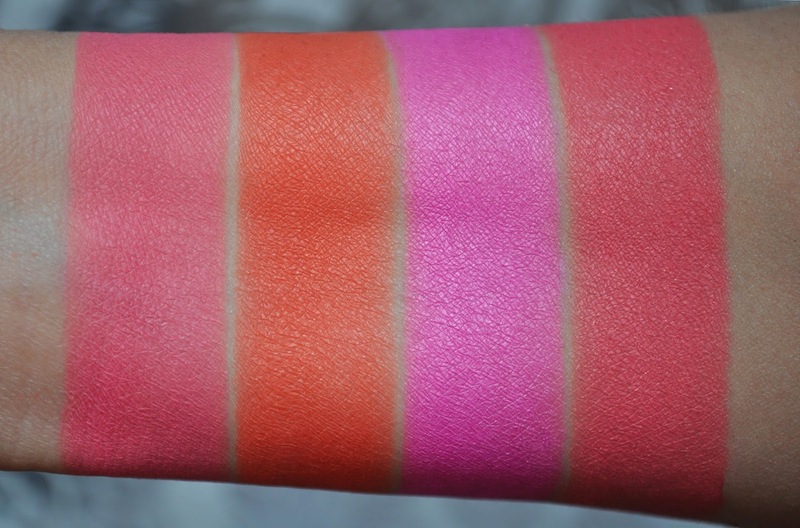 These petit blushes pack a pigmented punch! All four shades are extremely pigmented, vibrant (yet subtle when applied with a light hand), and have a beautiful satin sheen. For an inexpensive blush, their quality isn't lacking. The Can Cheeks go on smoothly, evenly, and wear for about four to five hours of wear, before needing a touch-up. The Benico x Hello Kitty Petit Macaron Can Cheeks used to retail for 999 yen, but with the tax increase, they are now 1,080 yen. I have all of these and I love them - I wish there were more colours! Ditto to loving and wanting more of these blushers. Do you mind if I ask, what camera do you use for your pics? They are flawless! They're available at most drug stores in Tokyo, and I think you can find them on ebay.